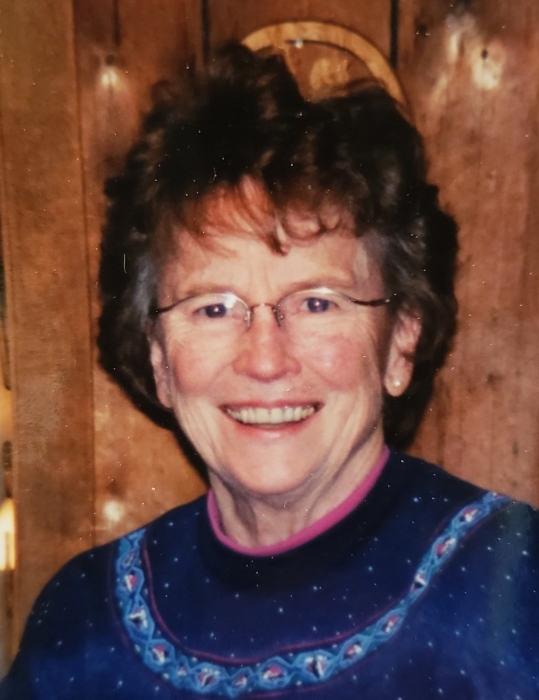 Joyce Irene Sawvel née Engblom passed away 12/5/18 at home surrounded by family after a courageous battle with Alzheimer’s Disease. Corporation to marry her high school sweetheart, Richard Sawvel on October 11, 1953. Once married, they moved to Sioux City, Iowa, where Richard was stationed at the Air Force Base. for Engwall Florist and Park Hill Cemetery. In 1975, they bought their forever home and moved to Remer, MN. Joyce worked at the Red Owl grocery store until they bought the Remer Junction. They owned and operated the Junction until 1984. Joyce was an amazing person who loved everyone. She was strong and never missed an opportunity to challenge her grandkids in a foot race, and win! She loved cooking for her family, gardening, fishing, snowmobiling, and was always ready for a trip around the States on the motorcycle. She will be greatly missed, but never forgotten. Joyce is survived by her husband Richard Sawvel, children John (Marla) Sawvel, Jeanne Sawvel, Peggy (Mike) Chalich, James Sawvel, and Rita (Ken) Sepin, and sisters Laura Montoya and Laverne Scott. Joyce has 17 grandchildren and 22 great-grandchildren and many nieces and nephews. Joyce was preceded in death by her parents Walter and Amy Engblom, brothers Ray and James Engblom, and three grandsons Franklin and Alexander Sawvel, and Easton Chalich. We especially thank Angie Robbins for her loving support, care, and dedication. We thank St. Croix Hospice for the exceptional care given over the past year.